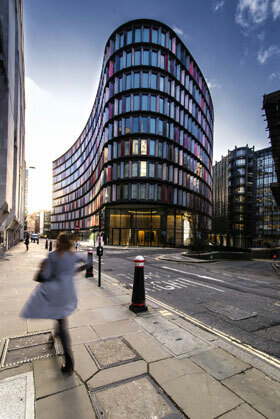 New Ludgate, a retail and commercial development located two blocks east of St. Paul’s Cathedral in downtown London, has been named the City of London Building of the Year 2016. 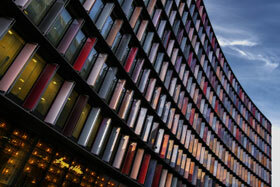 The complex consists of two new buildings, One New Ludgate by Fletcher Priest Architects and Two New Ludgate by Sauerbruch Hutton. The GRC to 2 New Ludgate was Grade 18P, in black with an acid etch finished. The "nose" shaped panels were prefixed to a unitize window system. There were a total of 1225 No. GRC units supplied and installed (954 No. of 1500 mm long and 271 No. of 3000 mm long). This is a total of 2,244 lineal metres of GRC ledges (4940 m2 of exposed area).